To Help You Grow The Sport of Pickleball. Each member of our Pickleball Rocks team recognizes the importance of giving back, and so each year a portion of our sales is used to help towns and communities grow our great sport. But almost as important, is helping you with information and products that will help you grow pickleball not only in your town, but around the world. We created the “Helping Pickleball Grow” programs listed below with the input and guidance of player everywhere. There are many different ways you can grow pickleball, and we hope these programs will help. Pickleball Rocks and so does your club, organization or team. Wearing club shirts is not only fun for everyone, it shows the world you are serious about the growth of pickleball in your town. Put your logo on one of our popular “Pickleball Rocks” branded dri-fit shirts or let us design a look just for you. Each shirt will have your chosen club design on the front and the famous trademarked “Pickleball Rocks, Let’s Play” motto on the upper back of the shirt. Simply: Pick your shirt or towel. Pick your color. Choose the design you want on the front of it. When you join the Pickleball Mile Club, you will be joining with thousands of like-minded people who have committed to using pickleball as a key piece of their daily, weekly, and monthly exercise routine. And yes, it’s FREE to join! Whether you are an ambassador, teacher, promoter, advocate or simply someone who champions this great sport, we have a club built just for you. 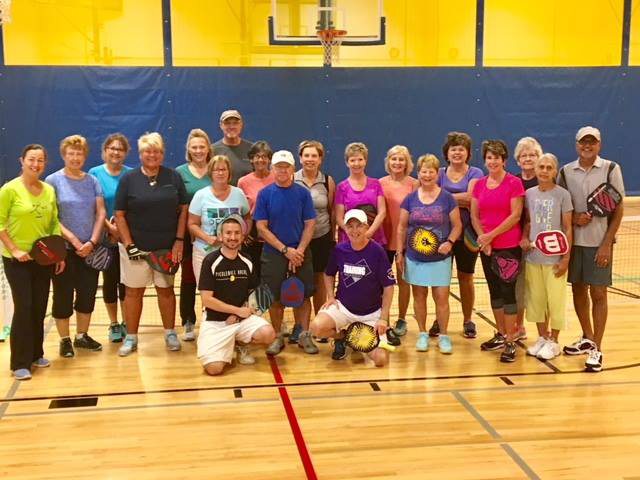 The Pickleball Champions Club offers free tips and tools to help you grow pickleball in your facility, town or community. As you already know, one of the quickest ways to grow pickleball in any community is to put paddles in people’s hands. 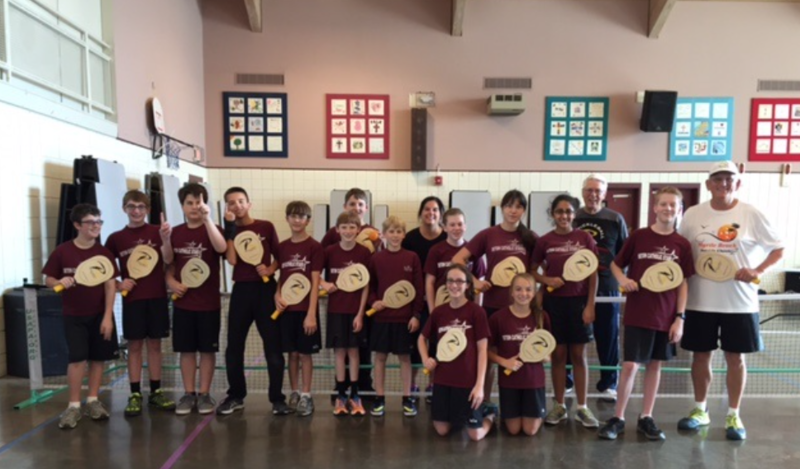 The Pickleball Rocks wooden paddle was developed for one reason only…..to help our champions put more paddles into more new players’ hands. You, as well as YMCA’s, Schools, and Parks and Rec Departments everywhere can now have paddles that are almost indestructible, very nicely balanced, under 10 ounces, and at a price so low (under $10 each) that cost is no longer a barrier. For information or questions about any of our “Helping Pickleball Grow” programs, simply fill out the form below. Happy to help.